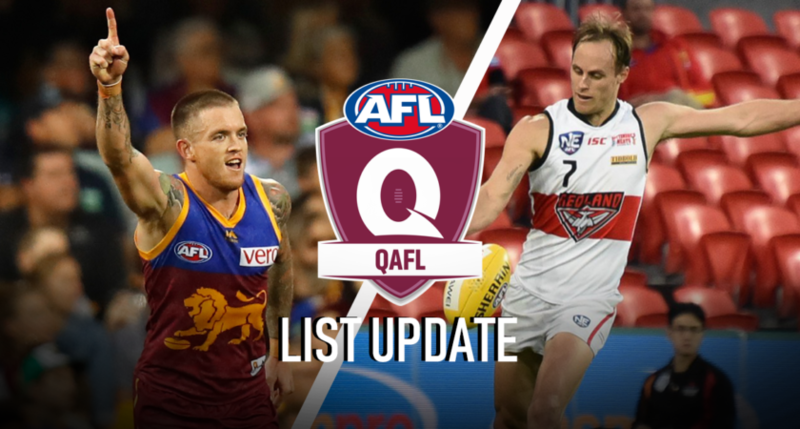 Final squad lists have been lodged ahead of Round 1 of the Queensland Australian Football League (QAFL) 2019 season this weekend. Perhaps the biggest transfer who will line up in the QAFL this season is former Brisbane Lions utility Claye Beams, who put pen to paper with the Western Magpies late last year. Beams played 54 games for the Lions from 2011 to 2018 and joins another former Lion in Ryan Harwood at McCarthy Homes Oval. In Brisbane’s east, Morningside have added a plethora of NEAFL talent to their playing stocks. Brad Howard, Luke Rogerson and Isaiah Edwards (all Redland) join Henry Joyce and Eddie Mallan in the black, white and red this year. The reigning premiers have remained relatively quiet throughout the offseason but have regained the services of 2017 QAFL Team of the Year member Dylan Troutman, who returns after a year playing football with his junior club in Victoria. Labrador have also looked abroad as they hope for a higher ladder finish in 2019 and have secured several key players from South Australia. Among the Tiger’s inclusions are Alex McKay (Tee Tree Gully/Norwood), Hugo Barry (North Adelaide) and John Boxer (Adelaide Crows SANFL) along with Jesse Maple who arrives from North Hobart. Former Southport NEAFL players Brandon Chadwick and Xavier McMahon will line up in the hoops at Subaru Oval in 2019 as the pair join former Werribee (VFL) and NTFL player Isaac Miller at Broadbeach. In the North, Sandgate have added midfielder Jayden Battaglene (East Ringwood) and Dom Paino (Wilston Grange), while the Gorillas have added Alex Bond (Pine Rivers), half-back Craig Plant (Deer Park) and Glendon Woosup from South Cairns. Mt Gravatt have looked locally to source their recruits as Robert Blood (Broadbeach), Jack Wratten (Coorparoo) and Robert Butler (Yeronga) all join new playing coach Adam Boon (Redland) at Dittmer Park. Elsewhere, Surfers Paradise have signed big bodied midfielder Jack Yelland from West Coburg and Daniel Stubbs, brother of Mt Gravatt forward Sam. For the first time since the reformation of the QAFL, the field umpires will also be wearing individualised numbers, in an endeavour to better recognise the talented umpires in Queensland. Check out all of the QAFL Team Lists below. Notable additions: Brandon Chadwick (Southport), Xavier McMahon (Southport), Isaac Miller (Werribee), Joel Newman (Cairns Saints). Notable additions: Alex McKay (Tee Tree Gully/Norwood), Hugo Barry (North Adelaide), John Boxer (Adelaide Crows SANFL, Jesse Maple (North Hobart). Notable additions: Brad Howard (Redland), Henry Joyce (Aspley), Luke Rogerson (Redland), Eddie Mallan (Aspley), Isaiah Edwards (Redland). Notable additions: Adam Boon (Redland), Robert Blood (Broadbeach), Jack Wratten (Coorparoo) and Robert Butler (Yeronga). Notable additions: Dylan Troutman (Olinda Ferny Creek). Notable additions: Jayden Battaglene (East Ringwood), Dom Paino (Wilston Grange), Loki Haines (Noosa) Lachlan Harrop (Aspley juniors), Tahj Abberley (Moreton Bay). Notable additions: Jack Yelland (West Coburg) and Daniel Stubbs (Mt Gravatt). Notable additions: Claye Beams (Brisbane Lions), Brody Lumber (Deniliquin), Riley Green (Park Ridge). Notable additions: Alex Bond (Pine Rivers), Craig Plant (Deer Park), Glendon Woosup (South Cairns).